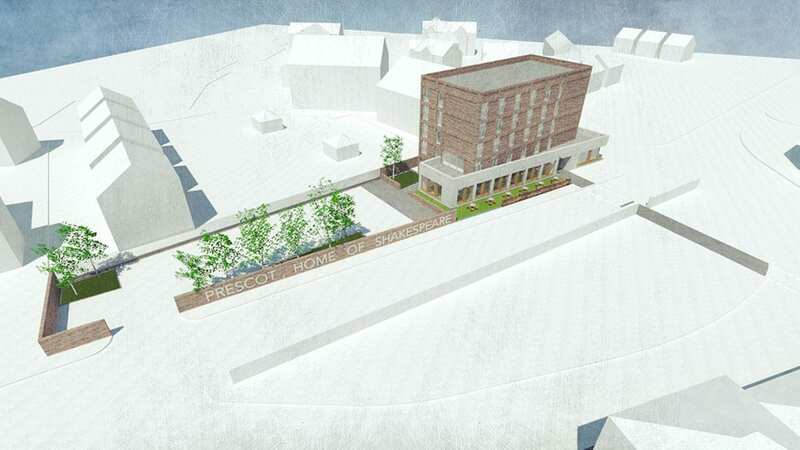 Prescot is changing with the construction of Shakespeare North and its likely impact on visitor numbers. 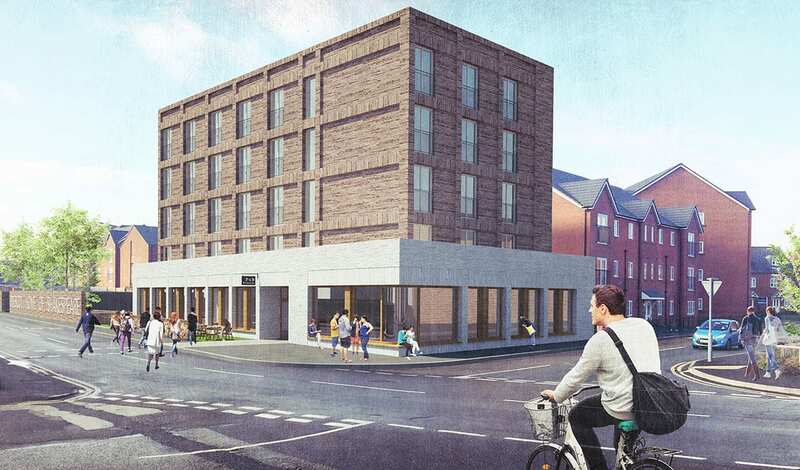 Not far from Liverpool, but without many local hotels, AE have designed a new independent hotel on a vacant plot opposite the railway station. It features a ground floor public house and restaurant. A function space is locted at first floor with its own accessible balcony. 27 bespoke bedrooms across three further floors complete the building. 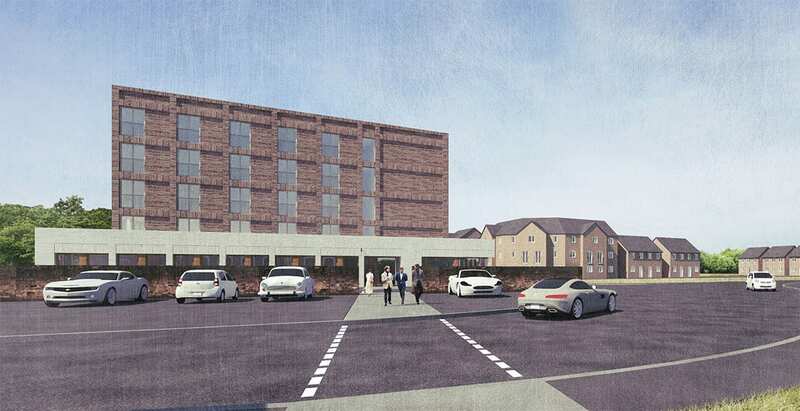 The hotel forms part of the regeneration plans for the town and is supported by local councillors. The compact design is efficiently organised around a single core. Generous regular window openings are set within a robust textured masonry facade that features depth within a framework of openings. The main building volume is positioned to mark a primary gateway within Prescot. 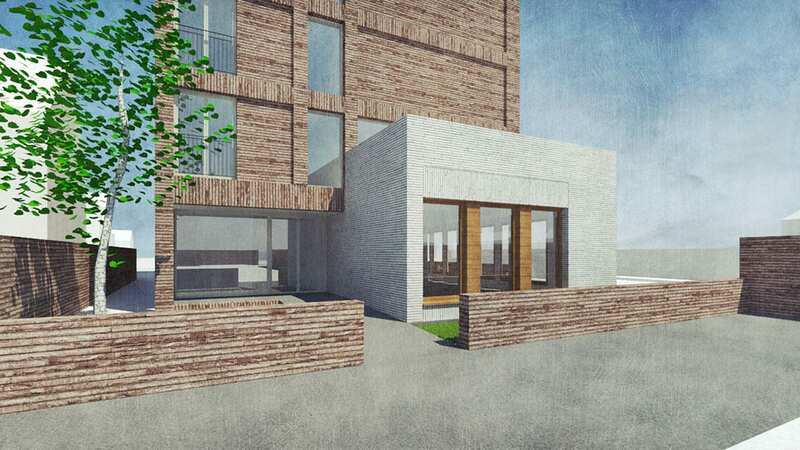 A second lighter masonry treatment is used for the ground floor volume which extends to the street edge, creating a first floor balcony. Large window openings will flood spaces with light. The simple fenestration is restrained and timeless. It is bold in its simplicity, adding elegance to an area where most new buildings are a patchwork of materials. 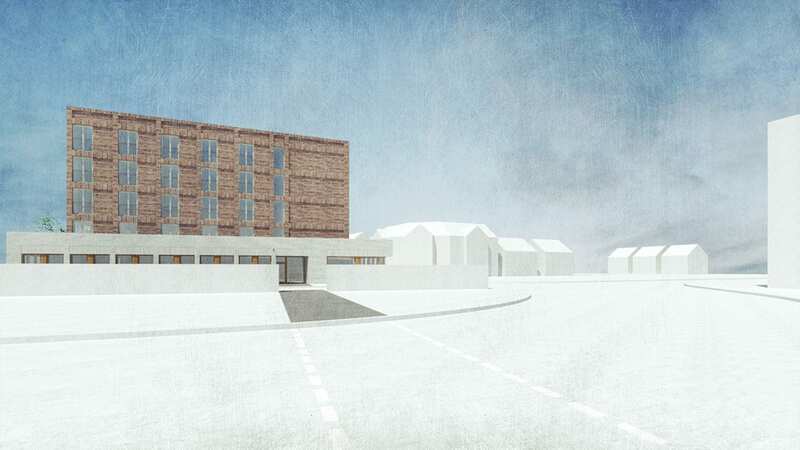 The scheme has been granted planning permission and will commence on site soon.